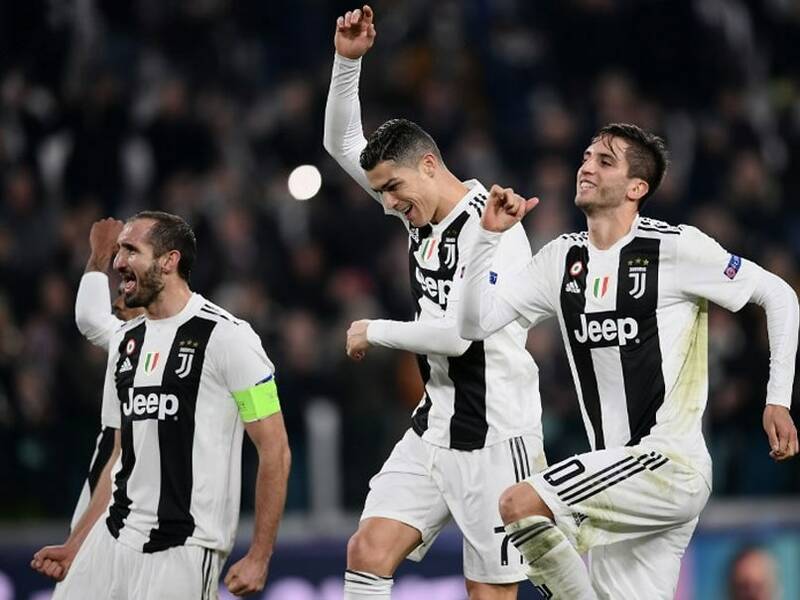 Holders Real Madrid and Cristiano Ronaldo's Juventus were among seven teams to reach the last 16 of the Champions League on Tuesday while Sergio Aguero's late equaliser at Lyon also sent Manchester City through. Bayern Munich thumped Benfica 5-1 to book their place and ease the pressure on coach Niko Kovac. "It's a convincing win and that's exactly what we needed at the moment," Arjen Robben said after he netted twice. Marouane Fellaini's 91st minute winner against Young Boys saw Manchester United squeak through after they had laboured against the Swiss at Old Trafford. 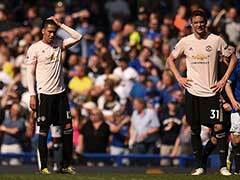 After Fellaini's low shot went in, United manager Jose Mourinho picked up and threw over a pack of bottles in relief at a result that lifts some of the gloom over the club. 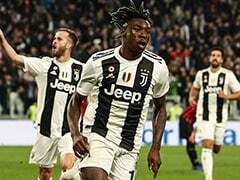 Real and Roma secured their spot in the knockout stages even before the Spaniards' 2-0 victory in the Italian capital after Group G rivals CSKA Moscow fell to a 2-1 defeat at home to Viktoria Plzen. 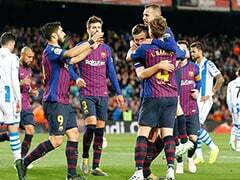 Gareth Bale scored one and supplied the cross that led to another as Lucas Vazquez wrapped up a clinical 2-0 win at the Stadio Olimpico that was a world away from Real's 3-0 Liga defeat to Eibar at the weekend. 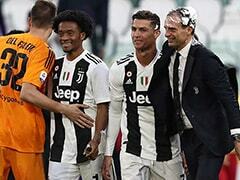 "It was important to bounce back quickly," said Real coach Santiago Solari. "We are very happy." 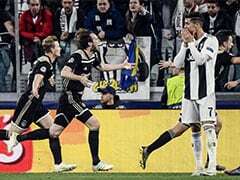 Mario Mandzukic booked Juventus' ticket for the knockout phase with a simple tap-in after a sublime piece of skill and cross from Ronaldo as Juventus beat Valencia 1-0. City's French defender Aymeric Laporte equalised first and then Aguero outjumped taller defenders to head home and spark wild celebrations from manager Pep Guardiola. Some Dutch fans were left with blood streaming down their faces, AFP photographs showed.